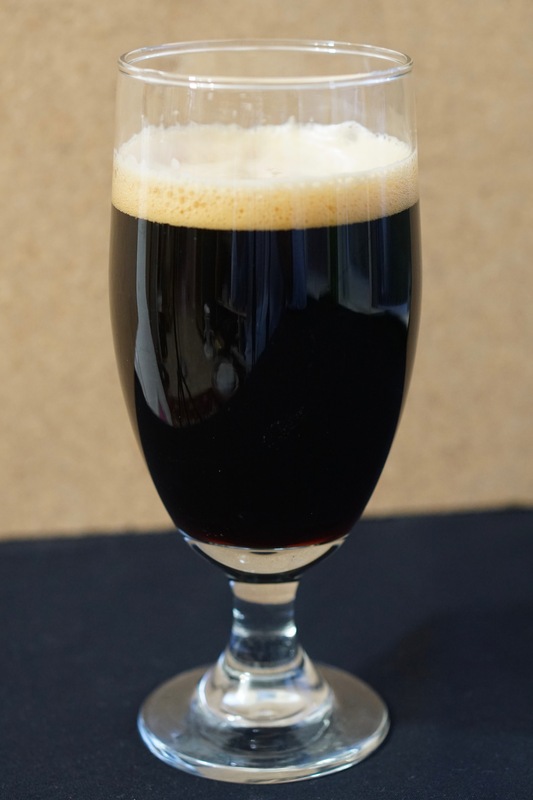 This is the Porter based on the Barclay Perkins Porter from 1804 with Brown malt and Pale malt. I shouldn’t call this a taste test because that would imply that I haven’t tried any when in fact it’s almost all gone. But hey, can you blame me? It was the perfect beer for the Christmas holidays. After all the food, desserts, and chocolate it was nice to finish the evenings with something not sweet but full of dry roasted flavours. Dark toast and coffee dominate, the smoke is almost non-existent. 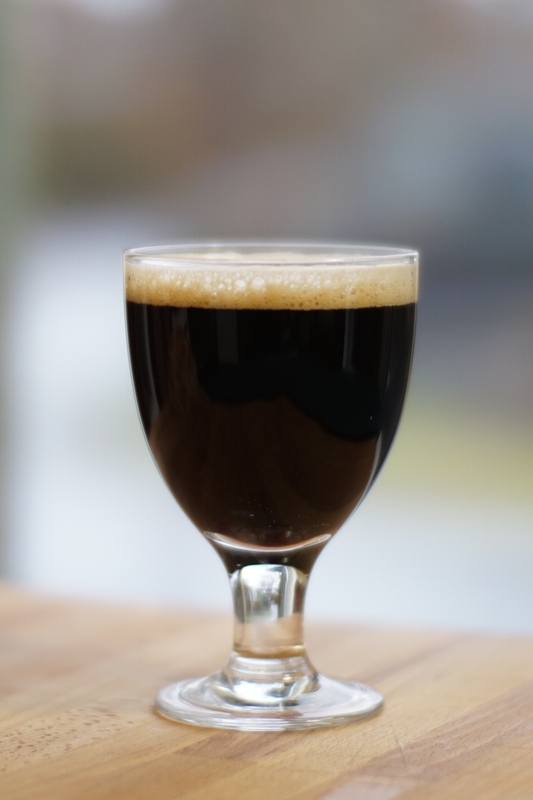 It’s so subtle it’s presence could be mistaken for a slight sourness but I recognize the flavour from my other pecan wood brown malt porter. The hops are very low which doesn’t surprise me. These were the hops I picked on River Rd. just outside of Fort Langley. I have no idea what kind they are but I’m guessing the alpha acid level is around 3% so I could have used a lot more. The colour is gorgeous, no complaints there and it’s got a full mouth feel. The head doesn’t stick around for very long, but considering the disastrous brew day and the stuck sparge I’m extremely happy it turned out so well. What a disaster. 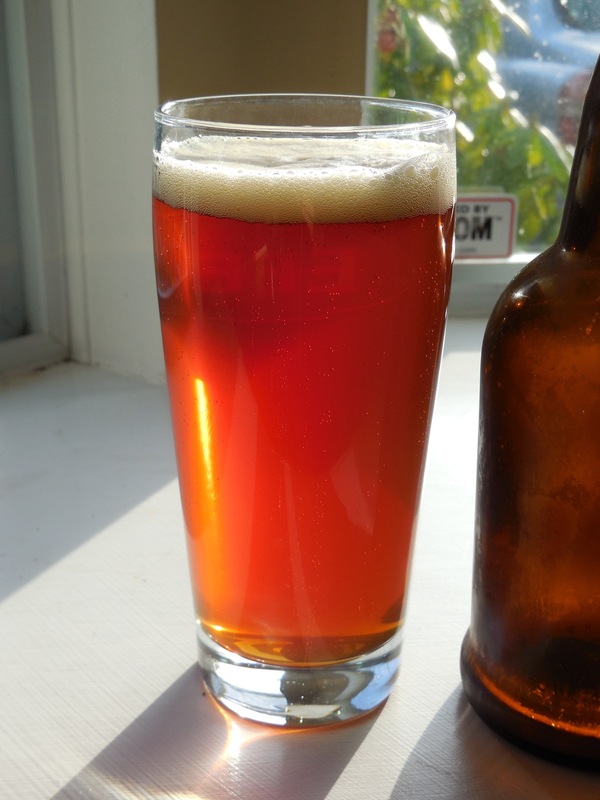 This beer was loosely based on the 1804 Barclay Perkins TT recipe from Ron Pattinsons book The Home brewer’s Guide to Vintage Beers. I didn’t think I was going to use the whole batch of brown malt in one recipe but this gave me a perfect excuse to do just that. So 4lb of non-diastatic brown, 2 lbs of my diastatic brown malt samples in place of the Amber malt in the recipe and 6lb of pale malt. I also added 1 lb of pilsner malt just because I had some and to help with conversion. Everything was going great until I tried to sparge. This mash got stuck and I mean really really stuck. 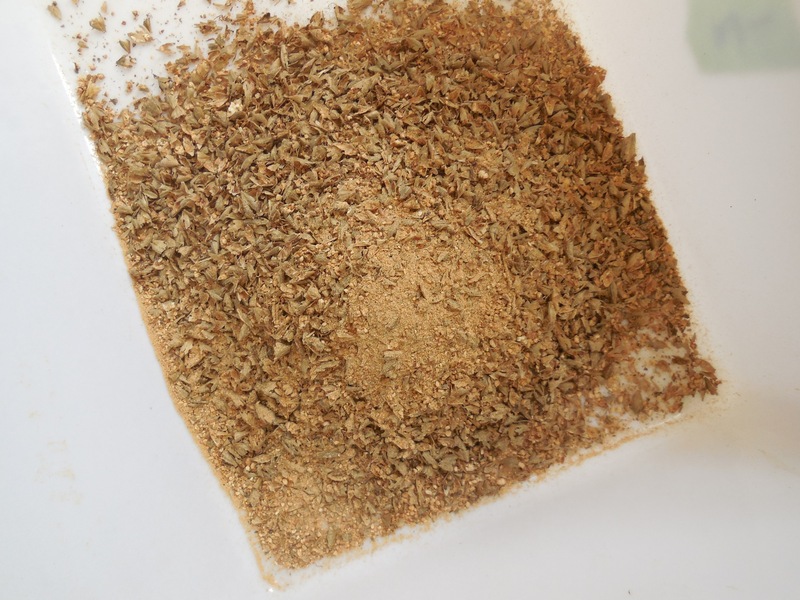 With brown malt being roasted it is very friable, the husk breaks down in to very small pieces and the inside is a fine dusty powder which turned into cement at the bottom of my mash tun and completely plugged the false bottom. A larger mash tun would have helped and definitely more rice hulls, a lot more, I would suggest one pound minimum. I tried giving it a stir – nothing, I tried blowing some air through it – still nothing. I finally ended up ladling it out into a bucket and throwing all the sparge water in, sort of a batch sparge and then just pouring it through a strainer, what a mess. I’d be very surprised if this turns out. 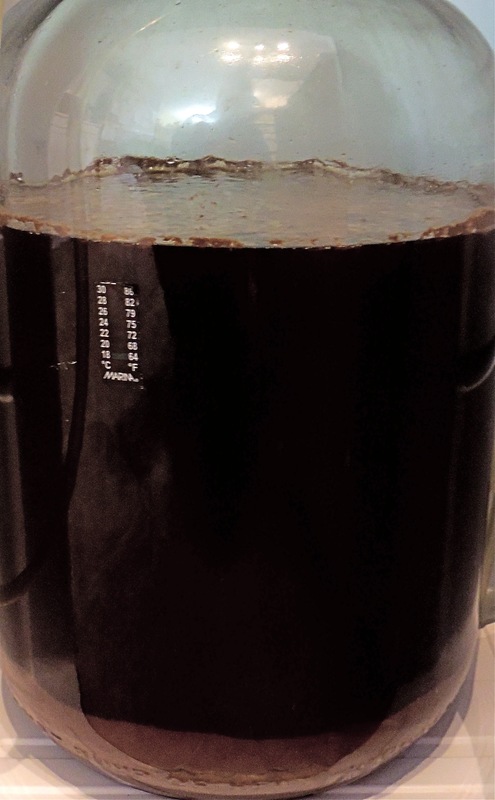 I ended up with 4.5 gallons of a decent looking dark beer with an O.G. of 1.064. It’s been bubbling away nicely and has just started to slow down, my fingers are crossed. I thought this post might at least be useful for anyone else trying to make this recipe, Cheers! Last year, after my first attempts at making diastatic brown malt I realized that I had just scratched the surface of a vast subject but that it was definitely worth further experimentation. 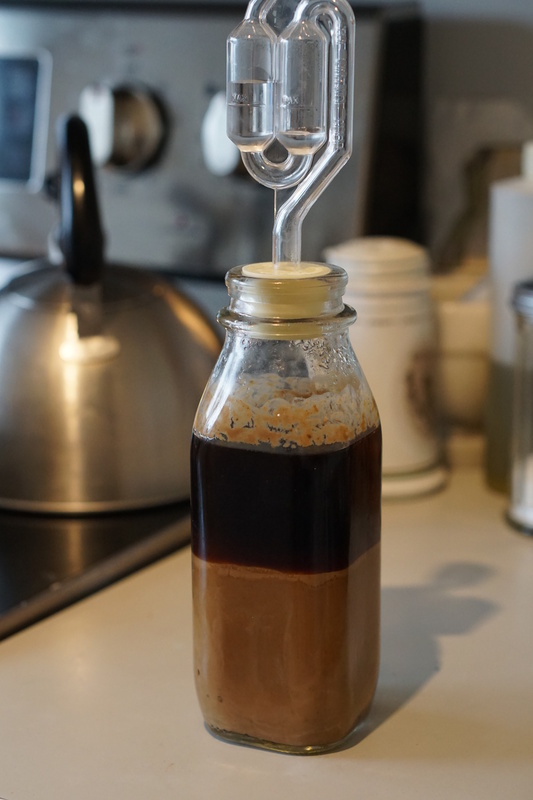 The beer I made was very unique but very light in colour. This year I thought I’d collect some useful data by pulling out 1/2 lb samples from my “kiln” at 1/2 hour intervals starting from the 3 hour mark, which is where I stopped last year. I kilned for 6 1/2 hours before running out of malt. My final conclusion – I could still go darker! To do this I think I could increase the heat of the fire to 300 F (but that’s for the next batch). The picture above shows from left to right: My pale malt, 3 hour brown malt, 3 1/2 hr., 4 1/2 hr., 5 1/2 hr., then 6 1/2 hr. The 61/2 looks lighter because it’s cloudy. Check out the jump in colour from 4 1/2 to 5 1/2. It was around the 5 hour mark that the temperature rose to 300F. Just to clarify these times are the curing times. 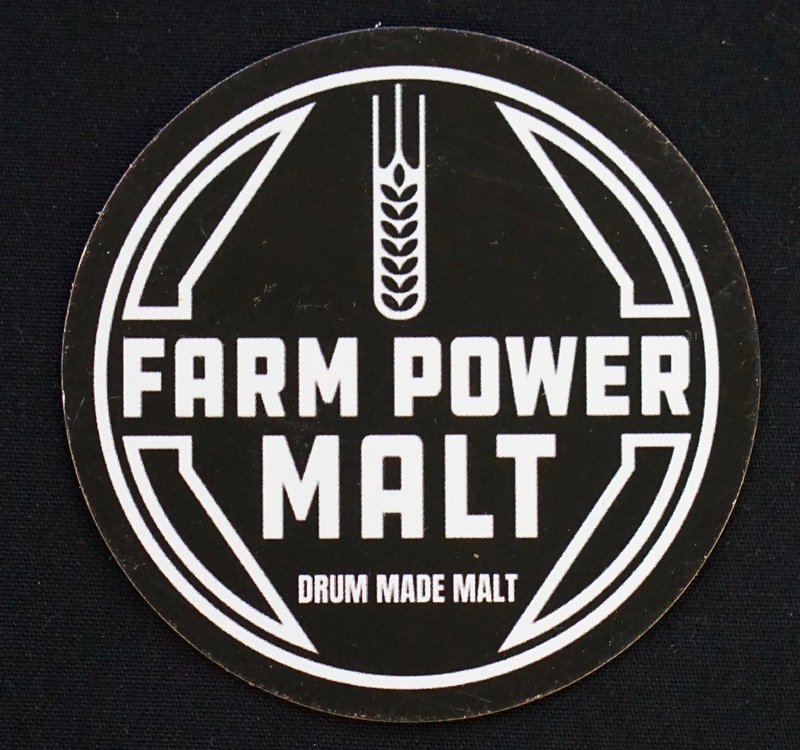 I had air-dried this malt for about 36 hours and then kilned it for 5 hours with one gassifier no higher than 150F. The colour of the malt did not change as fast or as much as I thought it would but I’m very excited about the 6 1/2 hour malt. Despite looking quite charred in places it did have some diastatic power left in it, enough to give me a potential O.G. of 1.028. 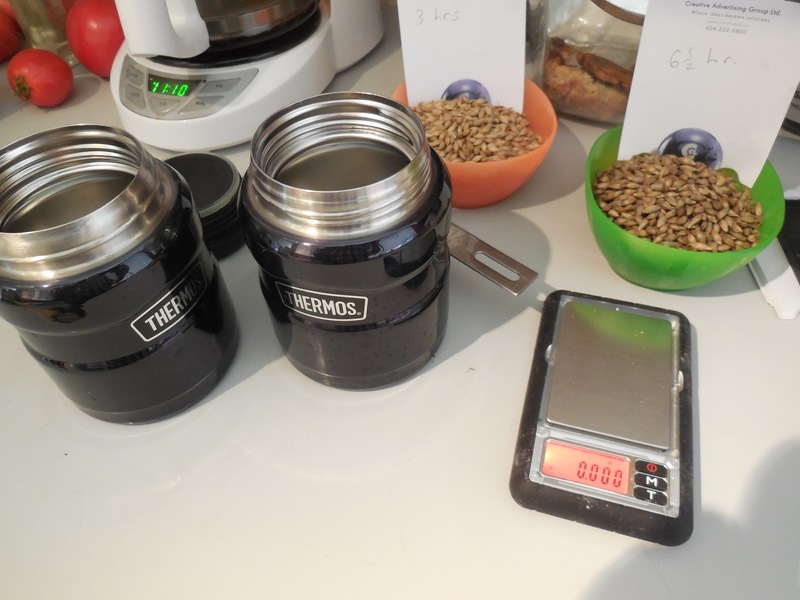 In comparison the 3 1/2 hour malt, (under the same brewing conditions and volume) would be 1.051. I was scaling down to 500ml as a final volume and constantly switching from gallons to litres and back again so I’m sure the math went a little sideways. Since I’m just comparing the samples I figured it wasn’t too important as long as I mashed each 4 oz. sample the same way. “Dad what are you making? it smells like chocolate!” – my 8 year old daughter while I was boiling a decoction from the 5 1/2 hour malt. And I would agree with her, it’s an awesome smell, much less smoke than last year perhaps due to the oak pellets. I think a beer made from one of these is going to be amazing. These mashes were very long. They started at 152 degrees and after three hours the temperature usually dropped to about 135. I did a decoction every three hours to bring the heat back up to 152. I would use my refractometer to see what kind of progress I was making and I was really surprised to see the brix rise steadily with the darker malts even though they didn’t fully convert. Interestingly, nothing changed after the 8 hour mark for the 6 and 6 1/2 hour malt even though I mashed them for 10 hours. HEALTH WARNING : I have to point this out because it’s a little worrisome. The 5 1/2, 6, and 6 1/2 hour malts look rather sooty. They’re grayish in colour and when I handled them the soot seemed to be coming off on my hands. I could be making something highly carcinogenic. This could be because one of the gassifiers went out and smouldered a while or it could be that my offset smoker system is just too small and as the flames hit the top of the firebox soot accumulated on the grain. Since my latest results are showing that I don’t have to be as careful with the temperature as I thought I might make a better system with the flames directly under the malt. Perhaps in an metal drum or something similar. Because of this sootiness I would not recommend using an offset smoker, I don’t want to be responsible for anybody getting cancer! 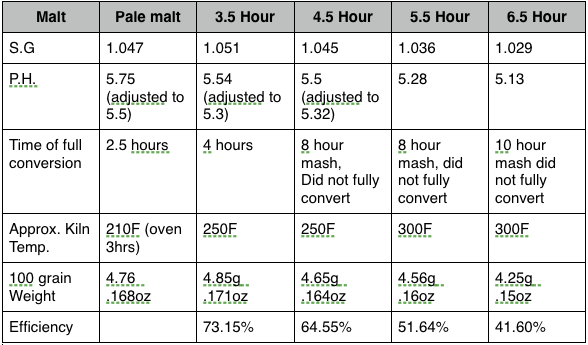 Note: The Pale malt is from a different batch of malt but I included it to compare conversion times. Probably could have gotten a better SG had I adjusted the pH properly. Also I did not include the 3 hr malt as I thought it was unnecessary.